... not so much. 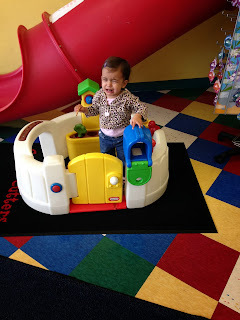 Anjali doesn't warm up to people and new places immediately. She takes her time and slowly gets into the groove but then she totally endears herself to everyone with her smiles and chatting. 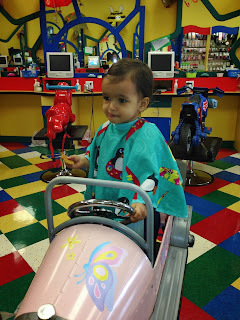 We went to the same place that we went for Cassia's first- Cookie Cutters Kids Salon in Waterloo. I highly recommend it if you're in the area. 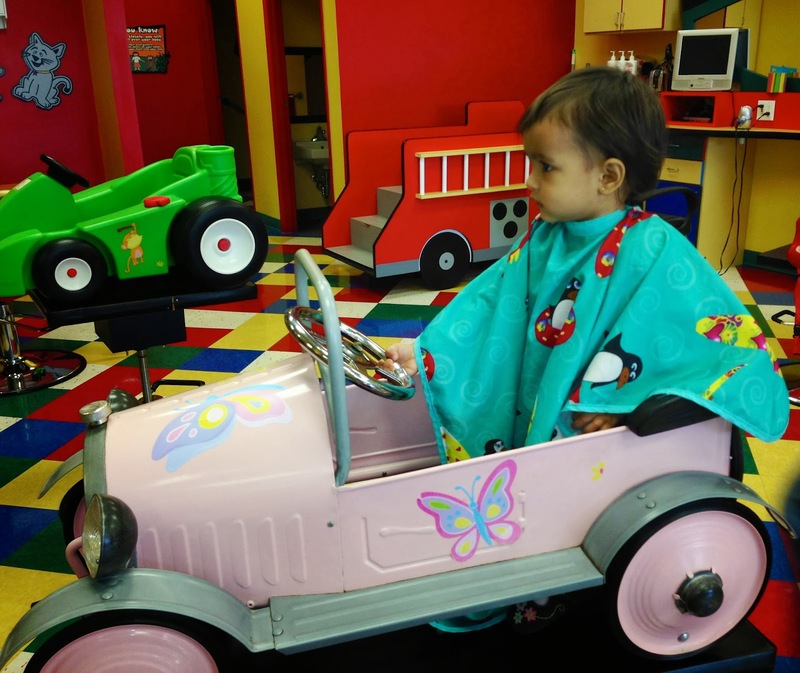 It's bright, colourful, there are toys and movies for the kids and they do a great first haircut package. As soon as she went in, she started to whimper. As we've started daycare in the gym most mornings, I wonder if she thought that this was another new place her mama was going to leave her in. She sat there not very pleased sullenly looking around. They offered her toys and tv but although she didn't cry, she didn't crack a single smile. After a while, she was done. At least we were done with the haircut though so we quickly left while trying not to embarass ourselves even further. PS. I really didn't want to cut her hair as she was born with almost none and still doesn't have a lot... it was looking pretty scruffy though so we bit the bullet. Cool car but why's it stuck in one place. You would think that this was minor surgery she had with the tears!